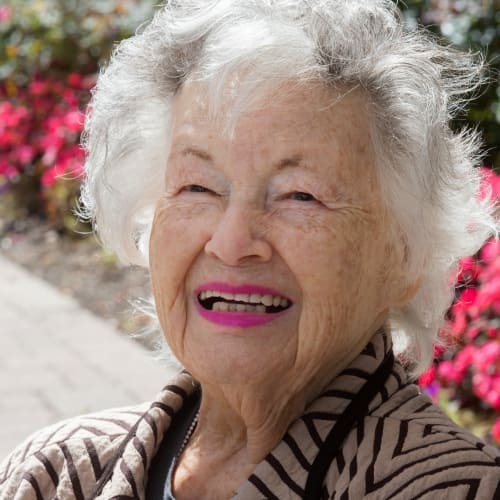 Maplewood at Darien's senior care options offer residents a personalized experience with highly trained staff dedicated to you or your loved one’s well-being. Whether you are considering assisted living, memory care, or respite care, our staff is dedicated to providing you or your loved one with an experience that embodies Maplewood’s unwavering commitment to service. Your loved one’s wellness is at the top of your priority list – and ours too. 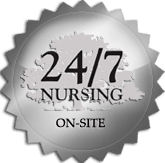 Our experienced and trained associates – including 24 hour, 7 day a week on-site licensed nurses – are dedicated to help your family member live a healthy and enjoyable lifestyle. Maplewood Senior Living communities offer onsite, 24/7 licensed nursing coverage at all of its assisted living and memory care communities. That means added peace of mind for you and your family members. Knowing that a licensed nurse is located on site, 24 hours a day, 7 days a week, adds an extra measure of care to what our residents and their families can expect from all Maplewood Senior Living communities. This service delivery means Maplewood has a decreased number of unscheduled visits to the emergency rooms of hospitals. Residents – and family members – feel good knowing that a licensed nurse is in each community around the clock. Maplewood's commitment to providing 24/7 onsite nursing is an important part of The Maplewood Promise. Maplewood Senior Living communities strive to meet that promise every day, 365 days per year. Our commitment is to allow a world of options – all within arm's reach – provided by passionate associates, including 24/7 onsite nursing care. Assisted Living – Our Vistas™ program provides care for those in need of additional support and assistance in daily living. Memory Care – Two distinct neighborhoods are available to our residents living with Alzheimer’s disease and associated dementias. Our Tides™ neighborhood provides a supportive environment for your loved one’s continued independence, while Currents™ is best suited for residents who would most benefit from a structured living environment. Respite Care – Offers a solution for individuals seeking a shorter term of care with a little extra support and assistance.